Bend Vacation Rentals specializes in vacation homes on Bend’s desirable Westside. 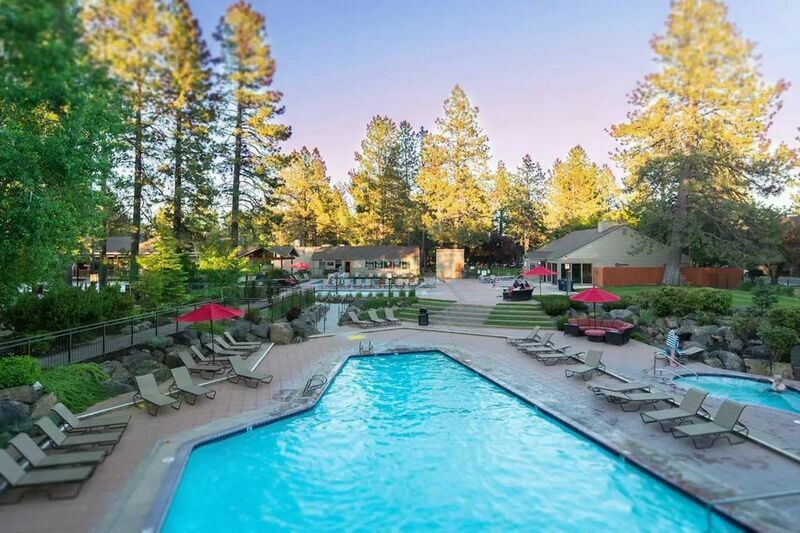 All of our homes are convenient to Downtown Bend, the Old Mill District and outdoor recreation including the Mt. Bachelor Ski Resort and trails for hiking and biking. Bend’s Westside is a sought-after area close to the outdoor recreation that Bend is famous for. The Westside includes historical neighborhoods near Drake Park and downtown as well as newer neighborhoods convenient to Mt. Bachelor Ski Resort, parks, trails and golf courses. Additionally, you’ll find many of Bend’s famous craft breweries on the Westside. How far is Bend from the airport in Redmond? It’s a little over 17 miles from Roberts Field Municipal Airport in Redmond, Oregon, to downtown Bend, and the drive takes approximately 25 minutes. It’s another five to ten minutes in the car to most of our Westside rentals. How far is Bend from Portland? The drive from Portland International Airport to downtown Bend is approximately 160 miles and takes a little over three hours. How far is the Mt. Bachelor Ski Resort from your homes? Mt. Bachelor is approximately 18 miles on average from many of our Westside properties, with some of them even closer. If you’d like to stay in a vacation rental very convenient to Mt. Bachelor, check out Adventure Lodge, Big Eddy, Wild Rapids and blank. If you’re not interested in driving to the mountain, Mt. Bachelor operates a convenient shuttle service from the Westside at the corner of Simpson Avenue and SW Columbia Street. Are there good restaurants in Bend? Although Bend is a relatively small town compared to urban areas like Portland and Seattle, the dining scene is dynamic and progressive. From quietly elegant fine dining restaurants to eclectic food carts, and everything in between, Bend is a foodie haven. And sometimes some of the best-kept secrets for amazing food are found in unlikely places, and we’ll be happy to share some of our favorites with you.